After completely whiffing against Pitt, the Fizz staff is back from pondering over the bye and brought in the newest staff member to make his selection. Here are your picks for Saturday’s matchup against North Carolina. Syracuse needs to get its mojo back after some rough defensive performances. Getting Antwan Cordy back and fully healthy certainly will help that. Along with Cordy’s return, the Tar Heels have yet to win away from Chapel Hill and are a mess at quarterback. The much-despised Nathan Elliott should get the start against SU, and he’s been anything but pretty so far. The Orange’s running game will also thrive against a UNC defense that is without Tomon Fox because of suspension, and therefore can run away from Malik Carney. The last game Fox missed, Allen Cater got the start at defensive end and Miami ran all night long en route to the 47-10 win. It was also the most rushing yards allowed in a game by UNC so far this season with 229. The Orange offense regains its pre-losing streak rhythm and cruise to its fifth win of the season. This game isn’t a must-win for the Orange, but it’s certainly one that would help their chances at getting to a bowl game for the first time since 2013. After two straight losses going into the bye, this has to be a bounce back game for Dino Babers and company and luckily for them, UNC has looked pretty bad at times this year. The Tar Heels are still lacking chemistry because of the staggered suspensions some of their best players are serving after selling school-issued sneakers and they come into the game at 1-4. Look for Eric Dungey to have a big bounce back day after one of the worst performances in his career against Pittsburgh. Defensively, this game comes down to stopping star running back Michael Carter, but after a full week off to improve the run D, SU should be able to do enough to get its first win after the bye week under Dino Babers. The bye week came at a perfect time for this team. North Carolina might be able to run the ball, which seems scary for SU on paper, but that’s about all they can do. The Heels have little to no experience on offense and one of the worst turnover margins in the country. This is just the opponent Syracuse needs right now. They will roll at home and prove that Dungey’s performance and the teams performance against Pittsburgh was nothing more than an off day. After a week of resting and getting ready for North Carolina, it’s time for Syracuse to take the next step. A win here would go a long way towards the program’s first bowl bid under Dino Babers. However, if the Orange doesn’t stop the run, things could get ugly. UNC running back Michael Carter is coming off a career day against Virginia Tech (168 yards). The reason Syracuse wins this game is Eric Dungey. He’ll come out poised to propel the Orange to its fifth win of the season. As long as the defense holds up, of course. This is ideal scheduling for Syracuse. North Carolina almost tasted victory last week at home against Virginia Tech. It was a bitter pill to swallow for a one-win team. 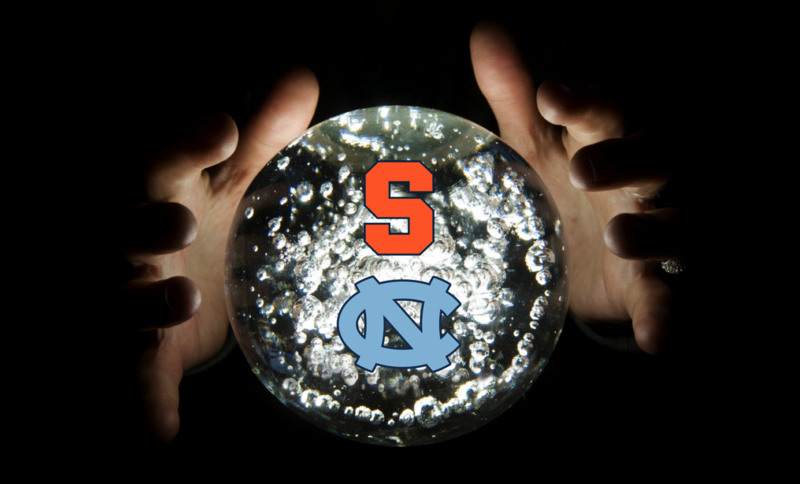 Now the Tar Heels, which are 0-3 on the road, travel to the Carrier Dome to face a well-rested and recently humbled Syracuse team, which hasn’t lost at home. It screams beat down. The Orange will win by multiple possessions and turnovers will be a factor. Coming off a 22 turnover season, UNC has 13 cough-ups already. Meanwhile, Syracuse has the best turnover margin in the ACC. 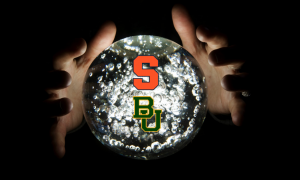 There’s no reason to worry about SU when they’re in the friendly confines.